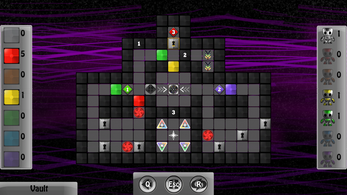 HueBots is a deceptively challenging top-down puzzle game. In the game, you control a team of colorful robots that will only interact with objects that match their color. You must use this special property to solve a wide variety of puzzles! In HueBots, you have a colorful inventory of robots and blocks you can build. 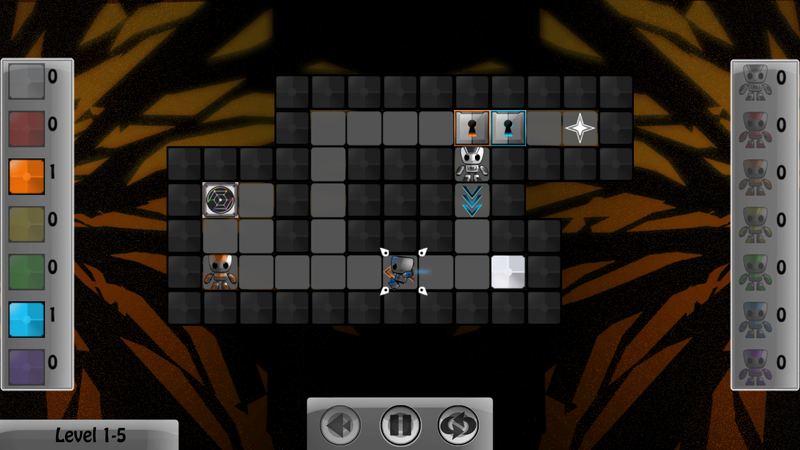 You can spawn robots and move them around; however, they will keep moving in one direction until they collide with something that matches their color. Use your block inventory to create stopping points for your bots. 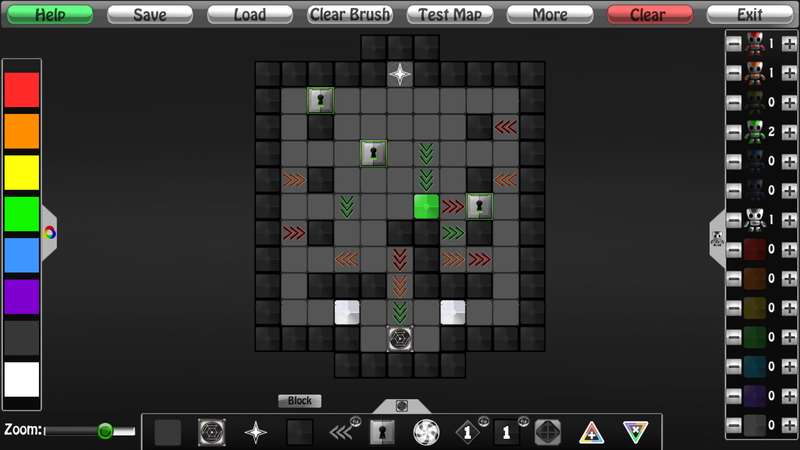 Use your robots to unlock doors, push away blocks, shift colors, and work as a team to help aid your special black and white robot to the finish! HueBots includes 70 main levels in the game, plus 30 bonus levels that can be unlocked by completing various achievements (e.g. beating certain levels with leftover blocks in your inventory). 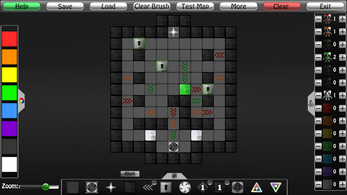 HueBots includes an easy-to-use level editor so you can create your own puzzles, too. Building a level is as simple as using a paint program - pick a color and an object, and use the mouse to place down objects. What use is creating puzzles if you can't challenge other people with them? 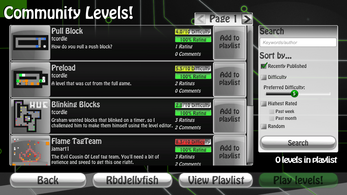 HueBots also includes a level sharing system, so you can publish levels you've created online. 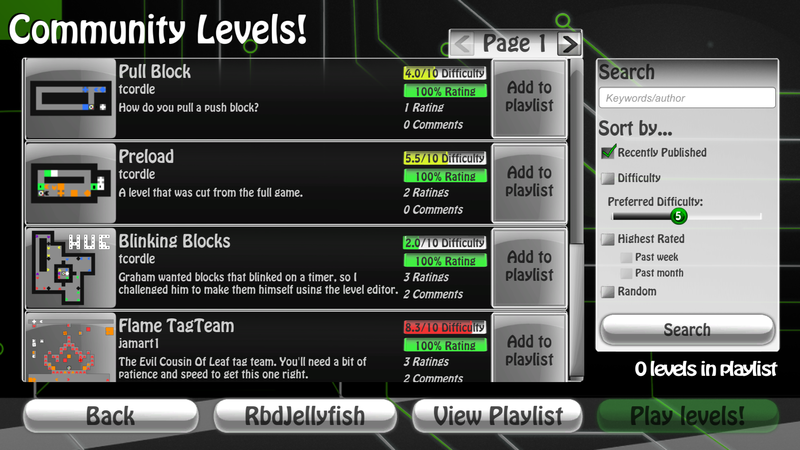 You can also browse other user-created levels, play, rate, and comment on them. The amount of replayability in HueBots is virtually endless!